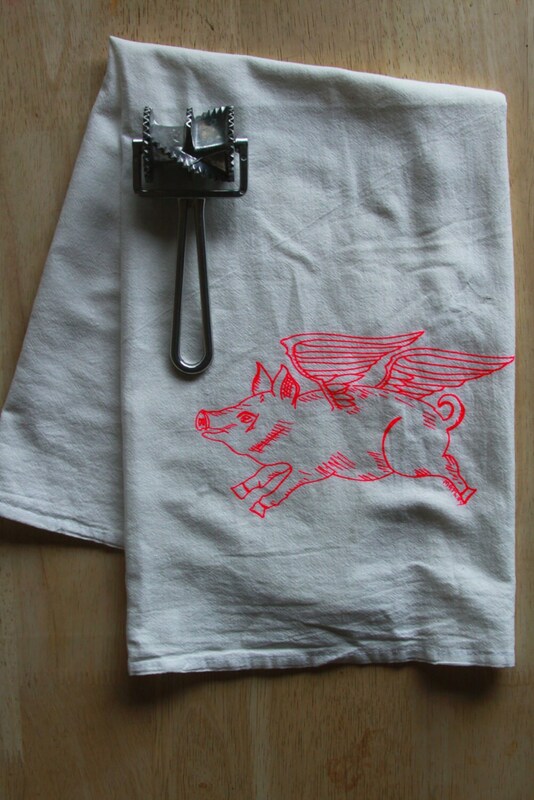 Flying Pig. Made in USA hand towels. Tea Towel. Flour Sack Towel. Dish Towel. Housewarming gifts. Pig. Farm Animal. Art by MATLEY. set of 4. 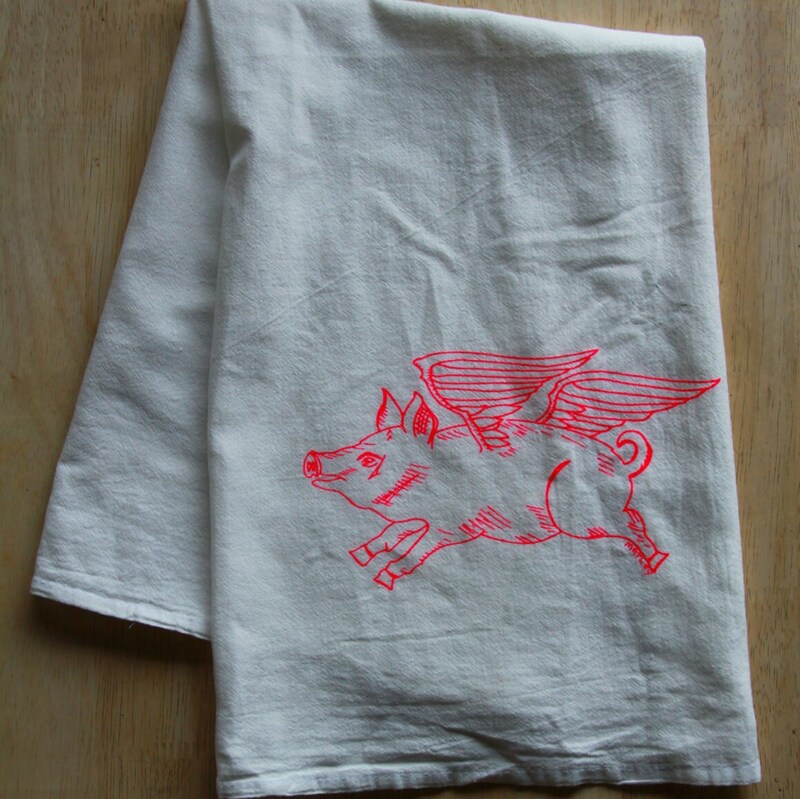 Original hand drawn and screen printed with eco friendly-non-toxic water based inks by Matley. The simple and cheerful designs can brighten up any kitchen!. Buy more and save! It's been said "it's the little things that count," and when I received my item (flying pig tea towel, which is just the best thing ever), there was a short note handwritten on the back of the business card included in my order that simply thanked me, and that small gesture made me realize that purchasing the towel from this shop was a solid move. 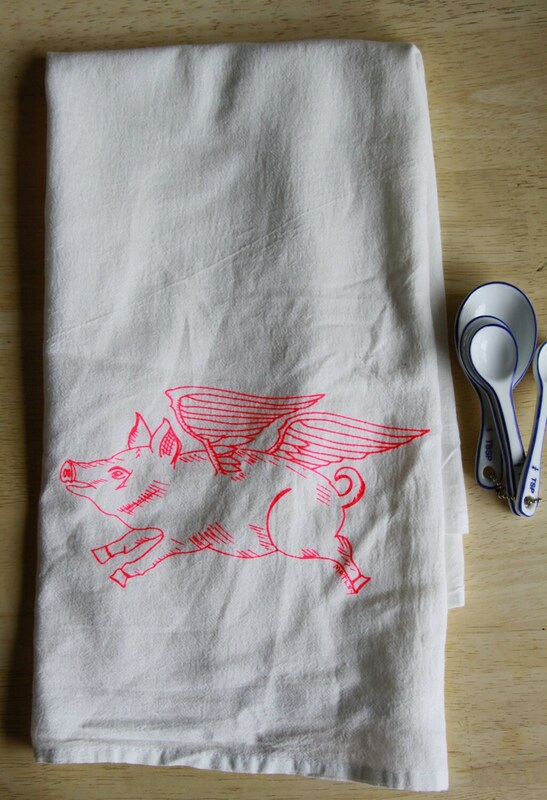 The image is screen printed on a flour sack towel and it's just charming as heck and I absolutely adore it. Thank you so much for your time and talents!